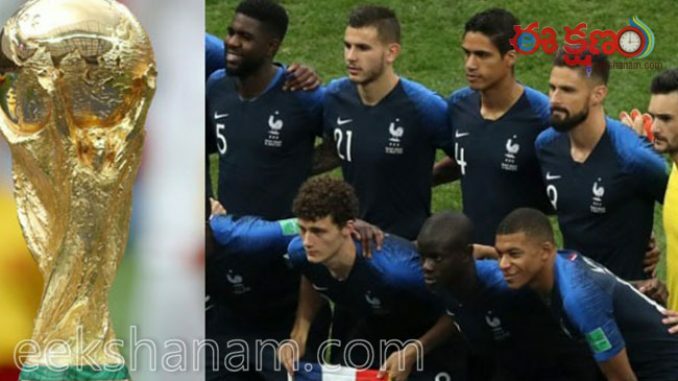 Moscow: France lifted the Football world cup for the second time. In the final it had defeated Croatia with 4-2 goals difference. Sensational Croatia team had started the match in full josh. With its speed France was in confusion for the first 20 minutes of the game. In such a beautiful way Croatia controlled the ball. It doesn’t given any chance to take over the ball. In this speed unfortunately it had done a mistake. Its player Mario Mandzukic made a self goal. French player Griezmann had hit a free quick and his co player Raphael Varane is ready to send it into the goal post. So Croatia player Mario Mandzukic tried to stop it. But in this process he lost his control and the ball went into their own goal post. So then everyone shocked and went into surprise. Self goal in FIFA final never happened before. So this is a record in FIFA final to kick a self goal.